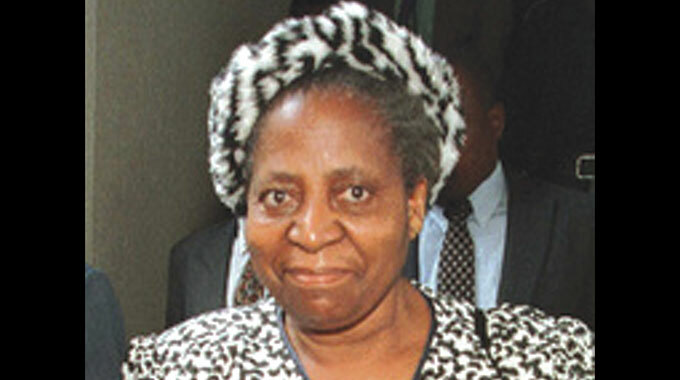 THE widow of former President Canaan Sodindo Banana, Mrs Janet Madade Banana, who returned to Zimbabwe after an 18-year stay in the United Kingdom is admitted at a private hospital in Bulawayo where President Mnangagwa has ordered relevant organs of the Government to cater for her medical bills and ensure that she starts receiving her pension. Mrs Banana (83) is the widow of Rev Banana who was the country’s first President and was in office from 1980 to 1987. Sunday News visited Mrs Banana on Friday where she said she was recovering well, before heaping praise to President Mnangagwa for his support. “I have been back in the country for four months now and I have not been feeling well as you can see I am hospitalised. I came thinking I was going for a holiday to enjoy then illness struck me. So I had to be hospitalised first in South Africa then I was admitted here in Zimbabwe,” she said. Mrs Banana acknowledged that the Government has been supporting her since her return and has even provided her with security. “Yes, the Government has been supporting me very much in my treatment since I arrived. The problem is that I am in and out of hospital and the thing is I don’t know when I will recover from this illness,” she added. Mrs Banana said she was indebted to President Mnangagwa for the aid that she has been given so far. Asked on whether she would return to her UK base, Mrs Banana said she was uncertain. “I am not sure of my future plans. As you can see I am old now and maybe this is the time to consider coming back home for good and settle here and do some farming, join others in the farms. I have many people who will help me,” she said. Her son Nathan who was on her bedside said it has been an emotional four months following his mother’s return and commended the Government for taking care of her. “We are happy that our mother has been receiving good care, the whole family is happy, again we are excited for her return. The Government is doing well for her and it is just a matter of time before things improve in our country as you can see our economy has been struggling. People need to be patient with the nation and things will be okay,” he said.